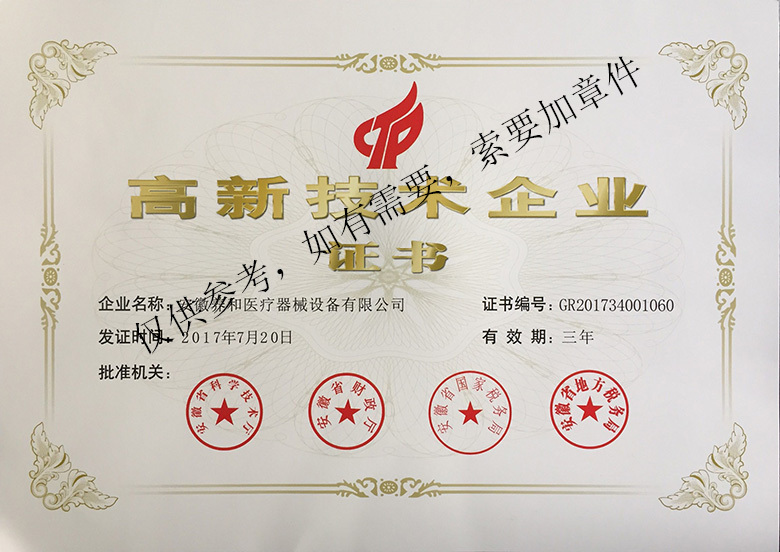 Our company has certified as the high-tech enterprise recognized by National Ministry of Science and Technology! Anhui Young-Hearty Medical Appliance & Equipment Co.,Ltd. has certified as the high-tech enterprise recognized by National Ministry of Science and Technology! 下一篇：Good news: we successfully develop the new product – 13C infrared spectrometer!